Today is the anniversary of an event that can truly be said to have changed the world; although certainly not in the manner intended by its planners, sponsors or participants. Today is the anniversary of the 1972 Watergate Break-In. How much of the world has changed because of this event? We certainly would not have had Jimmy Carter as the US President and most probably would not have had the Foreign Corrupt Practices Act (FCPA) passed into law during his administration. Would Ronald Reagan have become President four years earlier in 1976 rather than 1980? Who knows, but, if yes, would the Soviet Union have collapsed sooner under the weight of his military buildup? What about the fall of the Shah and the taking of the US hostages, think Reagan would have had a more ‘robust’ response than Carter? All tantalizing questions for those interested in the great What Ifs of history. 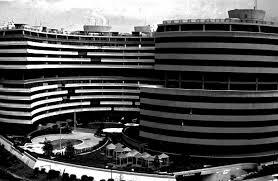 Over the weekend, I read that the long shuttered Watergate complex is scheduled to be torn down to make way for a more modern office edifice in its most desirable of Washington DC locations. This reminded me of one of my favorite Watergate era slogans “And Watergate was not just a hotel!” Indeed it was not just a building, rather an entire mindset of a presidency that went seriously off the rails. Interestingly I found a parallel to this slogan when reading about the overtures by General Electric (GE), then Siemens and also Mitsubishi Heavy Industries to purchase some or all of the French company Alstom. These offers are in spite of Alstom’s very public current anti-corruption issues, in several countries. Mike Volkov, in a blog post entitled “Alstom: The Next Poster Child for Anti-Corruption Enforcement”, said “In our FCPA world, we have a new poster child for blundering – Alstom. The handwriting is on the wall – as time goes on, the Justice Department is building a bigger and bigger FCPA case against Alstom. One of my favorite Dylan lyrics applies with full force – “You don’t need a weatherman to know which way the wind blows.” Further, “Clearly we have a case where the client company just does not understand what is going on, nor does senior leadership have the ability or desire to respond and fix the problems. Instead, Alstom’s failure to act and respond reflects the lack of any ethical culture. That in a nutshell is probably 90 percent of the reason that a culture of bribery took over the company.” Pretty strong stuff. Four senior executives have been charged for FCPA violations around one project. The FCPA Professor reported, “The conduct at issue concerned the Tarahan coal-fired steam power plant project in Indonesia.” All were charged around the same set of facts. They are alleged to have paid bribes to officials in Indonesia, including a member of Indonesian Parliament and high-ranking members of Perusahaan Listrik Negara (PLN), the state-owned and state-controlled electricity company, in exchange for those officials’ assistance in securing a contract for the company to provide power-related services for the citizens of Indonesia, known as the Tarahan project.” Two of the four Alstom executives have pled guilty to FCPA violations. Over the weekend, the Financial Times (FT) reported, in an article by Caroline Binham, entitled “UK prosecutors press on with Alstom probe”, that the Serious Fraud Office (SFO) has been given permission by the UK attorney-general to prosecute both the company and former employees for allegations of overseas bribery. The SFO “has also notified seven individuals but is considering whether to prosecute them after they were interviewed with the assistance of French authorities, people familiar with the investigation told the Financial Times…Among those who received letters from the SFO are the company’s former senior vice-president of ethics and compliance, Jean-Daniel Lainé, and three Britons who formerly held senior management positions: Graham Hall, Robert Hallett and Nicholas Reynolds.” All of the individuals identified in the FT article do not appear to have been a part of the Indonesia power project, which appears to form the basis of the FCPA charges here in the US. One thing that GE and Siemens have in common are world-class compliance programs. Siemens was the subject of the highest FCPA fine ever at $800MM back in 2008. Since that time, it has successfully concluded a robust monitorship under the terms of its Deferred Prosecution Agreement (DPA). Siemens compliance representatives regularly speak at compliance related events and discuss not only the company’s commitment to anti-corruption compliance but they also detail how compliance is done at Siemens. GE is well known for having its compliance folks regularly speak at conferences about the details of its compliance regime. In other words, both companies’ have very public robust compliance regimes in place and most probably follow, at a minimum, the parameters set out in the FCPA Guidance. Just as “And Watergate is not just a hotel!”; Springing Liability is not a warranted fear under the FCPA. The FCPA Guidance makes clear the steps a company should engage in under the FCPA to avoid liability in a mergers and acquisition (M&A) context. The steps are not only relatively straightforward; they are good business steps to take. If you do not know what you are looking to acquire, it is certainly hard to evaluate it properly and then to integrate it efficiently.